Having a Secure WiFi Network is extremely helpful and very useful. With a good Network, anyone in the house, whether they have a laptop, desktop or mobile phone can easily surf the Internet. However, with all those advantages, a Wi-Fi network comes with a very big security risk. In short, while it’s easy for a family to access their network, it’s all too easy for a stranger to access it as well. This person can, in the best case scenario, severely slow down a network. In the worst case scenario, this person could be a hacker trying to steal personal data. 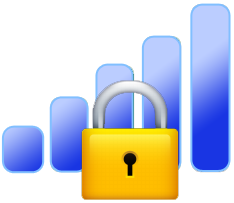 Therefore it is very important for a user to secure their network and this article will explain how. A very important thing for all users to check is what encryption they are using; if it says WEP then it is vital that a user changes it as soon as possible. 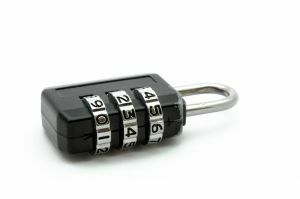 WEP is the lowest level of security encryption and, thus, is the easiest to hack. A user should switch to WPA or WPA2. These encryptions are much harder to break into and, thus, may scare off hackers looking an easy score. An obvious step that many people, unfortunately, do not think about is to change the password. 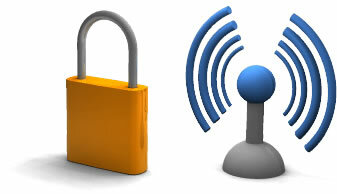 Many Wi-Fi Networks come with preset user name and password and it is vital to change these as soon as possible. A simple Google search reveals a comprehensive list of these preset passwords, so hackers can easily use them to easily log into a supposedly secured system. Therefore a smart user will change both user name and password to something that the family knows, and no one else. In an urban zone, where there are lots of other Wi-Fi networks, a user may be tempted to change their ID so it’s easier to identify their network. This is something to be very cautious about. Some users provide far too much information in their SSID like apartment numbers or full names. These can easily be used by hackers to identify who a person is and where they live. To be safe a user, if they must change their SSID, should make it something that doesn’t contain too much personal information. While Wi-Fi Networks are undoubtedly useful, there are many security risks that are associated with them. With the above practices a user can make their network much more secure which, hopefully, should scare off potential hackers. Author Bio: Patrick is a blogger, tech lover and web design expert who works for a Shanghai web design company. Great tips. We need to be extra careful and take precaution measures to ensure our wifi network is secure and hacker proof!